Download the summer school flyer here! 1. Both the biophysical and human processes and concepts needed to understand the broader issues of socio-ecological systems. This includes ecosystem functioning, biodiversity, ecosystem services, resilience, vulnerability, risk management, tipping-points, sustainability and related concepts in the field. 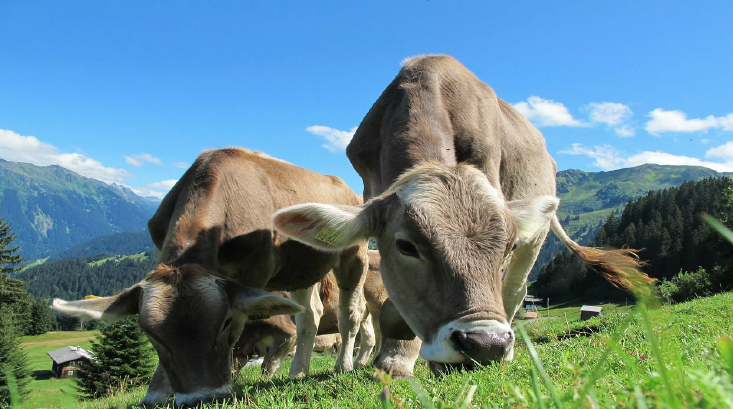 We will also explore current understanding of how physical and human environmental changes affect socio-ecological systems, including content on international assessment processes such as the IPCC and IPBES. 2. Different aspects of land use change processes across geographic scales and for the past, present and future drivers of change. This will include, for example, land abandonment, extensification vs. intensification, deforestation, the role of social networks and knowledge diffusion, the role of pollinators and land management. 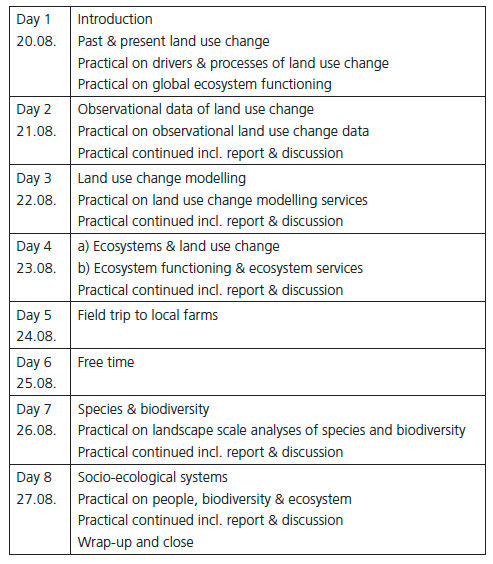 There will be a focus on land use change assessment methods, including the role of observational data (e.g. from remote sensing and other sources) and land use modelling approaches using interactive exercises and case studies. 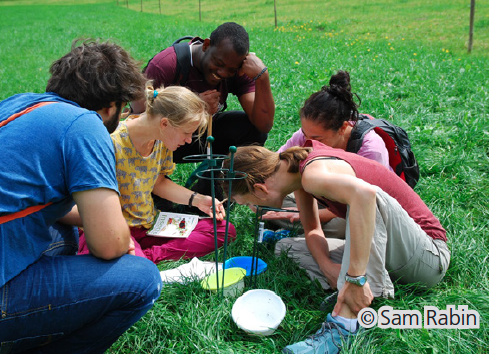 Format: The summer school will include a mix of lectures, practical exercises and student presentations and a field excursion.Participation is limited to a max. of 35 students. The cost for travel and accommodation is the student’s own responsibility; KIT will cover lunches, materials and the field excursion. Lecturers (KIT): Prof. Dr. Almut Arneth, Prof. Dr. Mark Rounsevell, Dr. Richard Fuchs, Dr. Sam Rabin, Dr. Heera Lee, Dr. David Martin Belda, Dr. Calum Brown, Dr. Verena Seufert, Dr. Penelope Whitehorn, Dr. Anita Bayer, Dr. Bumsuk Seo. External keynote speakers not yet confirmed. Applications: Application deadline is 31 March 2019. Please send a CV and a letter of motivation (limited to one page), signed by your supervisor, to: sylvia.kratz@kit.edu. Successful applicants will be notified in April 2019. This summer school contributes to the Global Land Programme (GLP) and the Analysis, Integration and Modelling of the Earth System (AIMES) project of Future Earth.